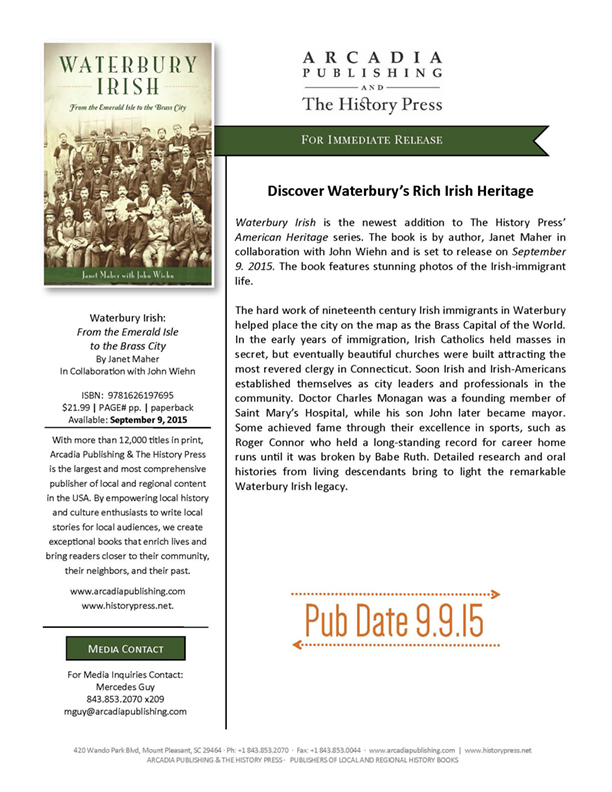 It is six months since the release of Waterbury Irish, which has sold more than 900 copies! Thank you to all who have purchased it! I hope you have enjoyed it. In honor of Saint Patrick’s Day, for the next month Waterbury Irish and my first book, From the Old Sod to the Naugatuck Valley will ship for free within the United States from their Etsy site! My multifaceted journey has been blessed with connections, reconnections and help from many people whose families were part of the vital history that these books address. May the spirits of Saint Patrick, Saint Columba, and all our Irish forebears enlighten the paths they have set us upon. Good luck, good health and happiness to those who find this site at Saint Patrick’s Day and beyond!